Staniel Cay is one of the few inhabited islands in the Exumas and home to the renowned Staniel Cay Yacht Club, the only full service marina in the cays. 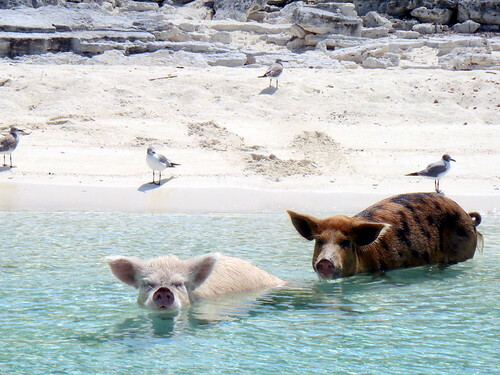 It is closely situated to Big Major’s Spot and Thunderball Grotto, the former where Exuma’s world-famous swimming pigs can be encountered, and the latter is the striking location of the James Bond film Thunderball. 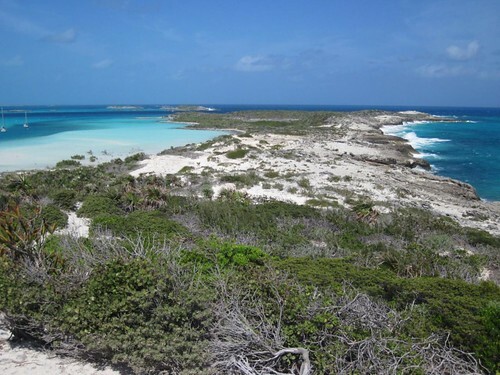 Bitter Guana Cay is an exceptional anchorage to visit during an Exumas yacht charter. 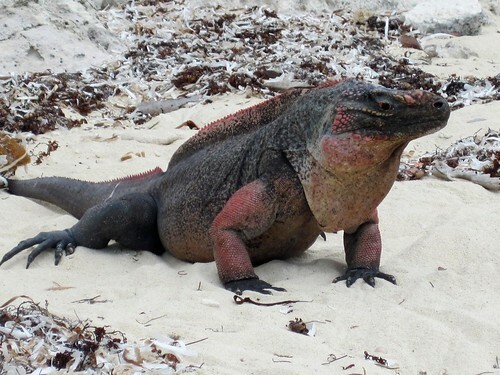 The tropical paradise is famous for its population of endangered iguanas and beautiful beaches. Guests that venture to the far side will find a picturesque rocky shoreline and a small grotto filled with shells and rocks. The island of Warderick Wells Cay is a pristine preserve famous for its exceptional natural beauty, outstanding anchorages and vibrant marine environment. It was chosen to be the headquarters for the Exuma Cays Land and Sea Park and is the largest underwater park in the Caribbean. 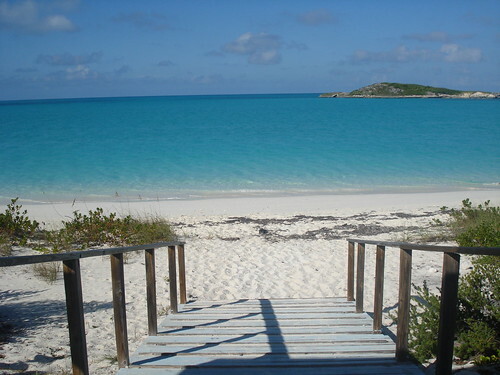 Compass Cay is an oasis of tropical beauty boasting of some of the finest beaches in the Bahamas. 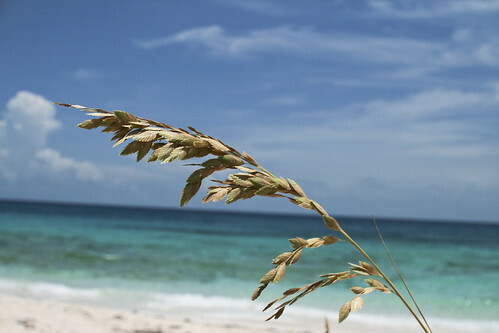 A largely untouched cay, the best thing to do here is relax and take in the breathtaking scenery. The island’s lovliest spot can be found on the north end at Rachel’s Bubble Bath, a large natural pool full of bubbles formed from ocean waves that crash over the edge of the lagoon. 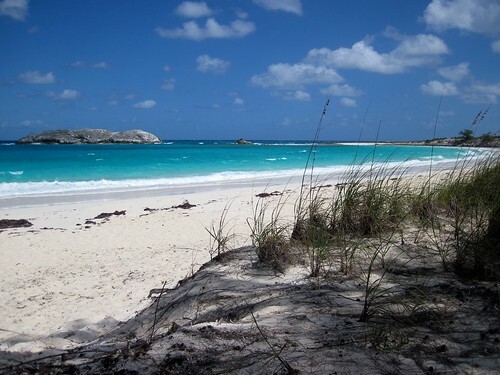 Great Exuma is the largest of the islands and cays in the Exumas and one of the most laid back. You can have your pick of secluded picture-perfect beaches and coves to explore, take advantage of excellent opportunities for enjoying watersports, and in the beautiful seaside capital of George Town, there are plenty of attractions to keep visitors busy. A private yacht charter vacation in the Exumas, Bahamas delivers the true island experience complete with a wealth of incredible sights and attractions. For assistance planning a sailing getaway in the Exumas, please contact Sunreef Yachts Charter at charter@sunreef-charter.com. This entry was posted in Bahamas, Destinations and tagged Bahamas Sailing Holiday, Bahamas Yacht Charter, Exumas Yacht Charter by sunreef yachts charter. Bookmark the permalink.